In the first of a five-part series, Tagmarshal CEO Bodo Sieber looks at what the golf industry in general and operators in particular need to do in order for the game to thrive in the future. 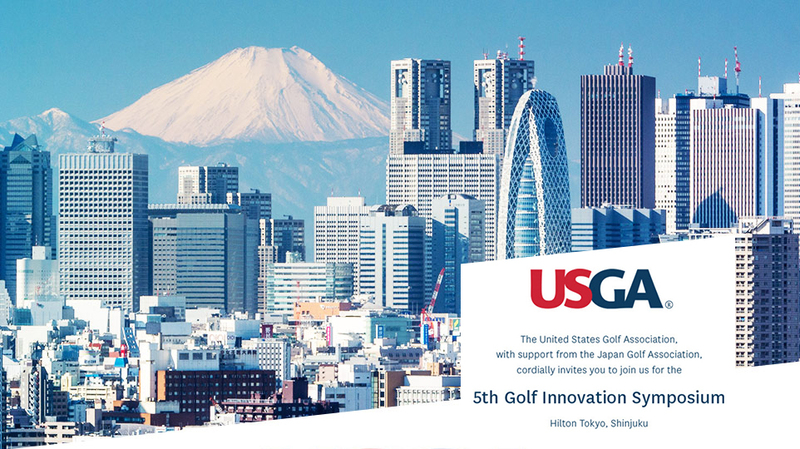 Future proofing the game does take foresight and willingness – of which there was plenty on show at the 5th USGA Golf Innovation Symposium hosted in Shinjuku, Tokyo March 12-13th 2019 hosted by the USGA and the Japanese Golf Association (JGA). The USGA has set a challenge for the industry: a 25 percent reduction in the consumption of key resources and a 20 percent increase in golfer satisfaction by 2025. The Symposium was a key platform for sharing the most innovative and most impactful advances in support of this mission. The operators who do this sooner rather than later and who not only meet, but exceed the challenge benchmarks will thrive and grow, while the ones who wait and see will get left behind. The good news: latent demand in golf is high! People who are interested in playing golf are estimated to be up to 60 million in the US, compared to ±27 million occasional and regular golfers already tied to the game. The industry needs to find smart ways to open the door for them, while retaining existing players. This is badly needed because while “Golf has attracted 14.6 million players in the last 7 years, it has also lost 16.5 million players in the same period” according to the USGA’s Hunki Yun (USGA Director, Partnerships, Outreach and Education, Research, Science and Innovation). This is a key driver behind the Golf Innovation Symposium. Being consumer led, being open and welcoming and, importantly, delighting players with a high satisfaction experience are critical for golf’s future. “US Golf ranks at a low 69% satisfaction score, which is similar to airlines and the post office and the low end out of 48 industries polled. 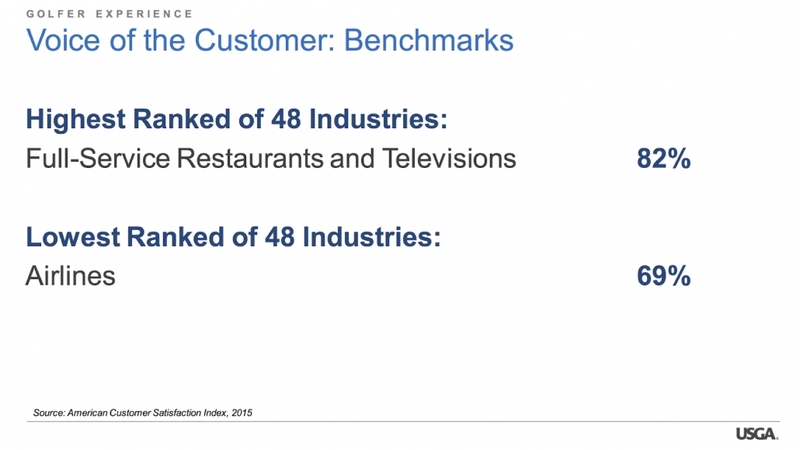 Full service restaurants on the other hand are highest ranked at 82%, this is where we need to get to as an industry to retain existing players and attract new ones” according to the USGA’s Rand Jerris (Senior Managing Director, Public Services).